The strength of a school's safeguarding procedures is usually the first thing Ofsted will inspect. Here's what you need to prepare. As the year winds to a close, let’s review what schools need to do in order to demonstrate what Ofsted is now calling ‘culture of safeguarding’. Since the target audience for this post is really school business managers, it’s important that they are aware of this since a chunk of it is likely to come their way, depending on their role and setting. I know a few SBMs who have found themselves charge with keeping the single central record up to date and have met the occasional postholder whose safeguarding remit is much more extensive. A colleague was recently attending safeguarding training with her local authority and objected that the trainer, repeatedly, referred to ‘what you need to do for Ofsted’. ‘Are we not’, she asked, ‘doing it for the children?’ And of course she was right. However, it is on safeguarding that an inspection can stand or fall so, while recognising that, of course, we are putting these measures in place for the children in our care, the expectations of Ofsted at least provide us with a very comprehensive checklist of the steps we must take. This short piece is intended to provide SBMs with a quick guide and any knowledge gaps can then be followed up through reading the relevant documents. Safeguarding is the starting point for pretty much any inspection, whether a full-blown Section 5 or a ‘short’ Section 8. Regular short inspections of good schools will always report on safeguarding but, for all other S8 inspections, inspectors will not specifically report on it unless it is a specific focus of the inspection, as it would be, for example, in a no-notice behaviour inspection. The key message here is that safeguarding is much wider than can be covered by a single person’s responsibility. It is all pervading, so SBMs might use this list to check that the people who are responsible for each of these facets are clear about what that responsibility includes. Make a list of names against each responsibility, check it with the headteacher and make sure everyone sees it. Then check that what needs to be done is being done. Ofsted inspectors are told to use their professional judgement to consider if safeguarding is effective. Are pupils protected and do they feel safe? 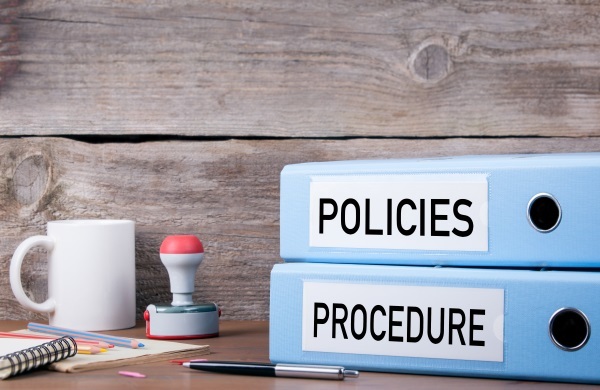 Are there effective policies in place? Are all adults clear about procedures and know who are named as designated safeguarding leads? Can pupils identify a trusted adult who listens to them? Are written records completed in a timely way? Are child protection and safeguarding concerns shared immediately with the relevant authority? Are records of referrals retained and evidence that agreed actions have been taken promptly? Is there a written plan in place that has clear and agreed procedures to protect a child? For children in need and looked-after children, does it identify the help the child should receive? Do children who go missing from the setting receive well-coordinated responses that reduce the risk of harm to them? Are comprehensive records kept? Are the risks associated with offending, drugs, alcohol, self-harm, going missing, being radicalised or sexually exploited known by adults who care for them and shared with LA children’s services? Do pupils know how to protect themselves from bullying, homophobic behaviour, racism, sexism and other forms of discrimination? Are adults aware of risks posed by technology and have strategies in place to keep pupils safe? Are there clear risk assessments? Do pupils demonstrate emotional security? Is positive behaviour promoted consistently? Are staff and volunteers carefully selected and vetted? Are there effective arrangements for staff development and training in safeguarding? Is the school a safe environment? Do adults have a copy of written procedures for managing allegations? Do they know how to make a complaint and understand the policy on whistleblowing? Inspectors will check the single central record (SCR) early in the inspection so check the latest guidance and make sure it is up to date. Inspectors will also check the policies and procedures for controlling visitors. This includes people making a short visit, for example, to take assembly. If a minor administrative error comes to light in respect of the SCR, the setting will be given a chance to correct it before the end of the inspection. However, there are no allowances for breaches in meeting the requirements for criminal record checks. Also worth double checking the barred list as it is a criminal offence to knowingly employ a disqualified person. Also, early in the inspection, the lead inspector must check whether, since the last inspection, there have been any safeguarding incidents or allegations that have not been resolved or are ongoing. They will seek to ascertain if the provider responded in a timely and appropriate way and how successfully they worked with external agencies. The person responsible for keeping these records could usefully prepare a couple of case studies and hold them ready for use. Safeguarding will remain high on any inspection agenda and, while my colleague is right – we don't do it for Ofsted, we do it for the children and young people in our charge. The inspection process provides us with a useful number of checkpoints that are worth revisiting. It might be a useful way to occupy all that spare time we get at the end of term! Our 14th annual Child Protection in Education conference is taking place in London on 11 September, Bristol on 18 September and Manchester on 4 October. With recent changes to statutory guidance and a renewed focus on mental health, it's vital you don't miss this opportunity to engage with top education lawyers and child protection experts.